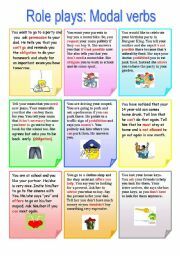 In pairs, students role play these situations using modal verbs where suggested in red. They make a dialogue and perform in front of the class. 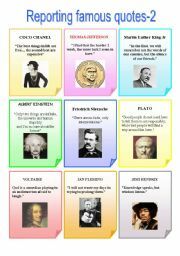 My students loved it last week. Thanks to Natasha for her nice cards. 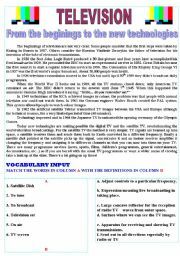 Reading Comprehension about the beginnings of Television. Students read the text and then answer the questions. More about the same topic will come tomorrow. 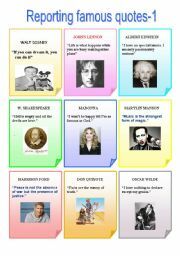 Students get a card with a famous person´s quote and report it to the rest of the class. 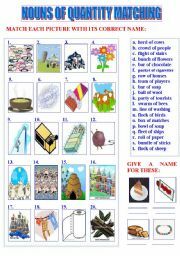 I use the cards as a class competition: two groups, each group with a set of cards. 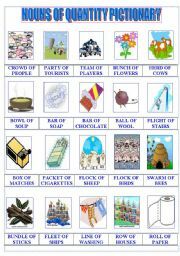 Students can identify and learn common nouns of quantity. 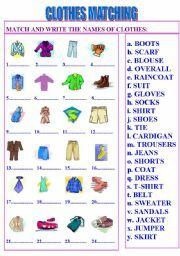 After studying Clothes (see Clothes Pictionary uploaded today), students do a matching exercise. After learning common nouns of quantity students practise with a matching exercise. Relax the classroom atmosphere and have fun with your students. 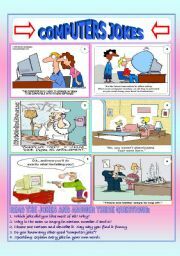 Students read some jokes about computers and answer some questions. They get in touch with the humour in english-speaking countries. I hope you like it. Have a nice Friday! 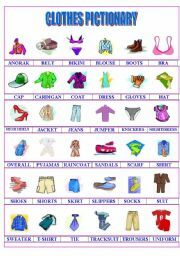 Learn the names of clothes, alphabetically ordered. Relax the classroom atmosphere and have fun with your students. 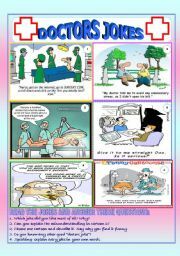 Students read some jokes about doctors and answer some questions. They get in touch with the humour in english-speaking countries. I hope you like it. Have a nice Thursday!